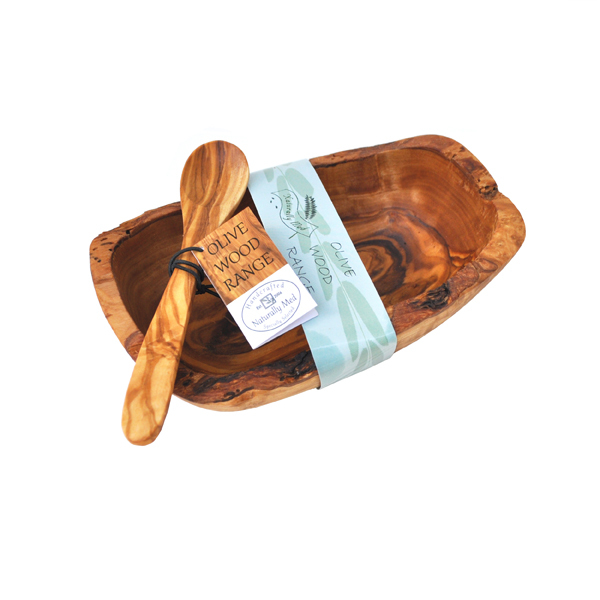 This beautiful natural olive wood bowl with spoon makes a great gift set. Use it to serve condiments, dips, salt, sugar… the possibilities are endless! Not just a practical gift, the stunning natural grain of olive wood makes this bowl and spoon set unique and so special. 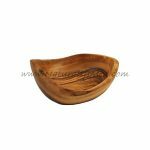 Each bowl is handcrafted so will vary slightly in shape and size. Approximate length of the bowl is 5″ and the spoon 5.5″.